How often do you update your website? Boy, that’s a great question. Too often we find ourselves too busy or cannot find anyone at the company to take on this important responsibility. The answer is at least once per quarter–that refers to the website, not blogs. Even if you think your blog is enough, it isn’t. You might think updating your company website is a waste of time and a lot of work, and maybe overkill to do this every quarter. But keep in mind, it is the “content” of your website with the proper back-links that help keep your rankings at the top of all search engines. You don’t need to change or update every page each time. I’m sure if you review your site every quarter, you will see that somethings can be improved and updated. It’s important to keep the site fresh. For example, you might be offering your products or services in a local or regional area, like Orange County. Updating this information will attract those businesses wanting to know who in their area offers the products/services that you do. Clients/customers will visit more often when you maintain the site with new content. That’s one reason why companies have blog pages within their website. But that alone isn’t enough to give the SEO’s a reason to rank your site higher. Sometimes it’s just changing some photos to keep the pages fresh. One other thing, make sure that you title your photos. This helps the SEO’s “see” your content and that can help your rankings as well. Just recently we realized it was time for us to update our own site. So we reviewed what our agency has been doing these past few years and decided to change the entire site–the look, navigation and update the services we offer. Even though we have been known as the publicity agency in Orange County, we wanted to remind those outside the area we have done national programs as well. So if you haven’t taken the time to look at your site, maybe it’s time to re-think the look and feel, or just update the photos of the staff. Comments Off on How often do you update your website? Is blogging a thing of the past? 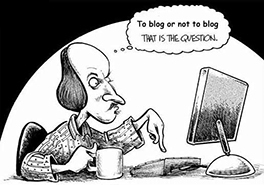 If you answered yes, then maybe you never considered blogging as a vital component to the digital world we live in. Or maybe you feel that blogging is for people, not business. If that’s the case, you are ignoring something that can increase your company’s visibility and traffic, which could lead to an increase in sales. It is still amazing how many PR Clients do not understand the power of blogging. So why am I asking such a question if the simple answer is to say, “blogging is important and not something of the past.” Well, glad you asked. There are different approaches to blogging and where your blog is located. No, not a geographical location, but where your blogs are posted. For example, is it part of your website, or just hanging out there? Blog posts are usually more powerful if directly linked (part of) to your website. PR Clients should have an on-going blog program. Another reason to keep blogging is to stay in touch with your customers, and to build credibility with potential customers. Unlike having a Facebook (business) or Pinterest, or Instagram accounts (which I feel are all still powerful when incorporated properly into your pr marketing plan), blogs allow you to express an opinion, talk about market conditions and have customers make comments. It’s a way to keep in touch with your market and get feedback as well. Hey, this is a better way to know about your customers than having it become a negative review on Yelp. Blogs should not be a sales pitch, nor be a bragging area about your company. The big difference from other social media where you would show and tell about a new service and products, blogs should be more informative. Talk about your industry and what might help improve it. You can mention that your new product has helped shaped a market or industry, but don’t go into a sales pitch. The content you write is important and using links to credible sites help re-enforce a statement. Make sure your content is relevant to your industry, and not political. Another reason to blog, it can give your business an identity, a personality. People like to know that a company has “people” running the business and not robots. And of course, blogging does improve your search engine rankings. Lastly, how often should you blog? If you are just starting out, I would recommend the first 4 months you blog at least twice a week. Then, after that, cut to once per week. If you have the time to blog more often, go for it. So I ask, will you be blogging anytime soon, or are you still in the mindset that this too will pass? Need help with your blog program, or how to make a social media campaign successful? Then stop reading this blog and give George Carson a call at 949-477-9400. Comments Off on Is blogging a thing of the past? Is email dead, or has social media taken over? Is email part of you PR Marketing Strategy, or do you only use Social Media? There have been a lot of discussions about the future and what role email will be playing. Some people, even the COO of Facebook, Sheryl Sandberg, thinks email is on its way out and people will rely on social media to communicate. This could be possible, but not in any near future. I doubt in my lifetime this will happen. As some writers said, like Chris Crum at WebPro News, all (most of them) social media requires an email to subscribe, or become a member. So that doesn’t sound like the system of social networks has or is ready to abolish email as the means to communicate. Ok, enough said. This now brings me to the second part of this blog. How involved are your PR Clients with social media? Do you have a plan? Do you have a campaign in place? Writing one blog, or using twitter once or twice a week is not getting involved in social media. Social media can become a powerful marketing tool for any pr marketing strategy. If and when done correctly, results can be very positive. If you need to refresher course, just refer to some of my blogs that discuss “How to Use Linkedin to Increase Traffic“, or “Learn How to Use Social Media for PR Clients“. Or just click on the archive files to see many other related topics. When you are ready to begin and implement a campaign, then give George Carson a call at 949-477-9400. It’s the social thing to do! Comments Off on Is email dead, or has social media taken over? Look who’s got a “hot” search engine! Yes, Twitter actually has a very good search and gives good results. You can get local publicity information. Unlike Google, or Cuil, or Yahoo, this offers a different type of searching. For example, an article titled ” Twitter Search Will Be Powerful” by Joe Marchese explains his experience. When the earthquake happened in Southern CA the other day, he did a Google search to get more info. Joe had just landed and was eager to find more about the local news in Orange County and Los Angeles and level of the quake. Google provided hundreds of sites, but nothing current to that day’s event. Then he tried Twitter. The search allowed him to read people’s reaction to the quake. He was able to see/read the effects of the earthquake immediately. This is how local publicity in Orange County, or Los Angeles can be accesses immediately. This is not to say Google, or Yahoo, or even Cuil cannot offer this information. It now shows us that search has become more than an encyclopedia of pages, but can now become a tool for other uses. Twitter is opening the door to new search. And according to Joe, he believes that Google (or someone else) will purchase Twitter to gain this feature it doesn’t offer. Sounds right to me. Joe wrote an article in March about his perspective on this. Remember, what we thought was a new way to do things just a couple of years ago, actually just last year, is old news. This fast paced social media is teaching us that we are going to see new territories and discoveries opening up shortly. Who knows, this blog site just might become old news next year, and I’ll be communicating in a different platform. If you want to keep on track with social marketing, do it now. Call George Carson today. 949-477-9400. Comments Off on Look who’s got a “hot” search engine! I am constantly being asked to give more information about this growing Internet media called “social media”. To help further understand the power this new media offers you need to read my other articles on social media and also this article. Then maybe you will get a better perspective why your pr client needs to become active in social media. If nothing else happens with your pr marketing strategy campaign, make sure you consider adding a blog or other social media network to the program. To begin, it is important to know exactly what is Social Media: Defined by Wikipedia (a type of Social Media site) defines it as “the online technologies and practices that people use to share content, opinions, insights, experiences, perspectives, and media themselves. Social media can take many different forms, including text, images, audio, and video. The social media sites typically use tools like message boards, forums, podcasts, bookmarks, communities, wikis, blogs etc.” This quote was in a white paper from More Visibility. Notice how it describes the different types, and forms this media takes. Such as message boards and forums. If you recall, the web originated from old BBSes (Bulletin Board Systems) and Chat Rooms. In a sense, social media is a more advanced network of chat rooms. But today, anyone can create a post, write a blog– from teens to mature adults in their 80’s and make comments. Unlike chat rooms that were by invitations to friends. Yes, some social media like Facebook, and MySpace keep outsiders out if you don’t know them. Social Network Sites. Mainly web sites that are becoming a community with the intent to create a social involvement. Picture Sites are another. You may already be using them. These are pictures you post online to share with others, family and friends. Video site. Same as pictures, but use videos. The most popular is YouTube. But many other new sites are emerging daily. Blogs. Most popular among the youth, now is part of a business network. Companies are blogging faster than ever to get the name out. Many other types are happening like music sharing sites, podcasting (the next big growth area) and gaming sites as well. Knowing just this information should help pr clients develop stronger pr marketing strategies for their campaign. If you are a pr client and your publicity agency is not getting you to the social media front, call George Carson at Carson Marketing, Inc. He will get you in front of the line. 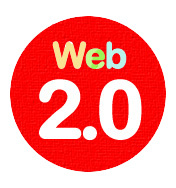 Wow, stop the presses, finally the marketing B2B people are discovering something new…Web 2.0! Well, not to make these slow learners feel bad, but Web 2.0 has been around awhile. It just seems funny how this is big news in publications like BtoB magazine. I like the publication; they are only telling what is happening to the companies who are finally getting smart. Ok, so what is Web 2.0? It is the new medium of Blogs, RSS feeds, Podcasts, Videocasts, Social Networks, and more. These are all the pr strategies and publicity tips I have been preaching for over a year to marketers. I guess I was just too excited at the time to not realize that other PR Clients, and local Orange County Publicity firms were not ready to implement these new pr marketing tools. Why, because they just did not appreciate the value it was offering. Now that the “news” is out, will there be over saturation? No. Just means that you need to be smarter, one step ahead of the competition. You need to have a savvy pr marketing professional, like Carson PR, on your side. I’m not bragging, ok, maybe a little, but it needs to be said that if you can’t see the trends or ignore them, then you as a pr client or publicity agency or even an advertising agency, will fall behind. And in this industry, falling behind isn’t that easy to get caught up. If you have been reading my blogs for a while, then you know that we mentioned all the social networks long before they became “superbrands”. Places like Facebook, once only a college school network, now is a major competitor to MySpace. There are other social networks that pr clients and pr marketing agencies should consider in their overall marketing strategies. If you have been keeping up with these trends, it is now the podcasts, and videocastings that are becoming the “new” social media. These forms of communication are helping small companies as well as talented artists get recognized and become successful. If your a pr client, or have a publicity agency, give George Carson a call to learn how to be part of this growing media. Then maybe, just maybe, you will be the superbrand that others are trying to imitate. If you are interested in getting more visible, then you need to add a blog site to your publicity campaign. It is true that most anyone in your company can probably write the blogs on a daily basis, but it is the use of the correct wording and use of keywords that make a business blog productive. Not everyone can write a short novel, or a radio commercial, or a sales brochure. Each of these examples requires a different writing talent. A publicity pro can write successful press releases and articles for publication, but they might not be a good copywriter for brochures or ads. But a good publicity writer can adapt easily to writing blogs than an advertising copywriter. Why? The reason is simple. Publicity writers are not writing text for people to buy, but rather to act upon. Therefore, their style is more informative in their writing. That’s what blogs (for business) are about. Getting the information in front of readers who will react more to a blog than an ad. Knowing how to write a blog is only one aspect of a good blog site. Now you need to know how to use the site to gain traffic and visibility. This requires learning how to make links, use photos and inserting keywords into your text and in what order. Once you begin using blogs, it will open more opportunities for your company, or your pr clients. So I again recommend that pr clients, publicity firms look into the serious positive effects that blog sites can offer. Are Your Publicity Clients Prospering? I have written several blogs and articles about involving the publicity departments with the marketing departments. Well is finally catching on. But only in few situations, usually when a company cannot meet its sales goals. Public relations firms need to step-up to their pr clients and request meetings with the marketing staff as well as the sales departments. Discussions about how each is handling their departments to increase sales will open conversations to work collectively. Competition is not going to get less, but more intense, no matter your industry. We are seeing that end users (customers) are expecting more from manufacturers. For example, when you make a major purchase like an automobile, you expect more than the rebates. You may negotiate for free oil changes, or extra large tires, etc. When you buy furniture, or appliances, you expect the company to provide free shipping, or some other added incentive. One of our snack food clients will be offering an “instant rebate coupon” that is on the package. It is this type of quick gratification that customers are looking for. At PowerPR, the company’s blog also had a comment about this. 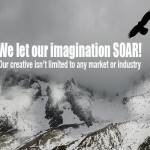 The blog titled "Publicity to a Public that wants More". PowerPR’s clientele is mainly in the manufacturing industry, so they see this as a need for publicity people to get more creative with clients to help sell products. They refer to the extras as being “surprised”. As professional publicity people we need to address issues like this in order to have clients gain more visible and favorable publicity. If you have a unique product or a gimmick that needs to get publicity, think about asking for help. The kind of help in this case is not asking your publicity agency, or pr staff to do a lot, just have them send a press release to post that asks for publicity ideas to market the product. Sounds like free ideas and publicity? It is. Just look at what a couple of attorneys did to market a new watch. The short article which was on Publicity Hound’s Blog this week had a posting of a watch that has the dials divided into six-minute-increments, that is how attorney’s bill you! The frightening thing is a lot of people posted ideas telling them it was a great way to sell these to other industries. Granted, it doesn’t take a lot of creativity to see the potential of the market. What was interesting to me, that people were willing to offer suggestions. Plus, these people and many others reading the blogs were probably telling their friends about this legal type of watch. That my friends is FREE publicity. True, this will not work for all products or in most markets. But it shows you that with a little creative thought you can get publicity for most anything, even something as NOT unique as a watch. Think about it, when was the last time a publication ran a press release on a common item as a watch? Remember, this watch isn’t a unique design, or runs on solar, or has special rings…it’s just an ordinary watch with the dials (the face) broken into six-minute segments. Incredible, but that’s publicity. Sometimes it is difficult to explain to pr clients how to get more traffic to a company’s web site in these short blogs. The reason is that it takes more than just a few keywords or phrases embedded into the HTML codes. It requires a plan to get fully indexed and recognized by search engines (SEO). For those of you who understand the behind-the-scenes, and for those who have a fair knowledge of web marketing, then this is for you. Before launching your new web site, or your updated site, you need to make sure the following has been completed. One last item for this blog. Get links from other indexed sites to your company site. That completes the cycle. If you need help with web marketing, give us a call.